Lits Camping and Canoes is a family run business that has been active around Östersund since the early 1990’s. We have over 25 years of experience renting out canoes in Jämtland, and we are one of the largest canoe centers in Northern Sweden. 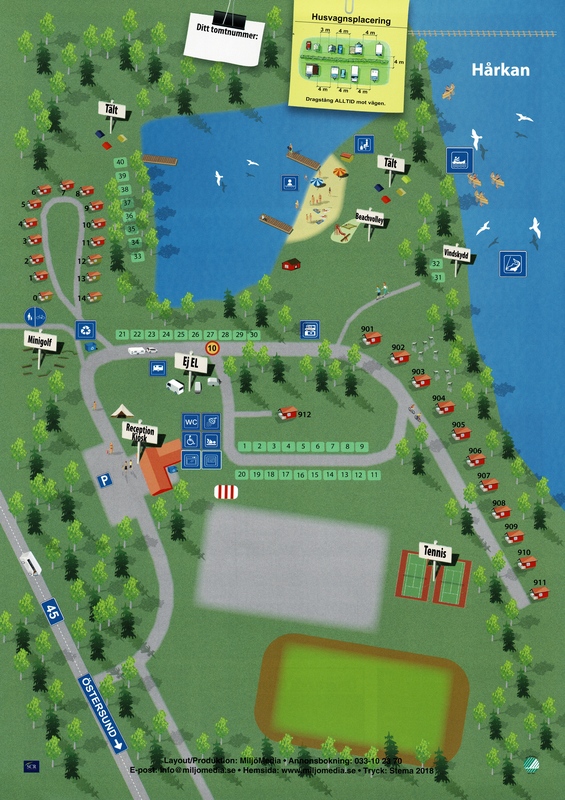 At the campsite in Lit we have close to 30 cabins of various standard and size for rent, not to mention plenty of space for camping only a few steps from where the river Hårkan meets up with Indalsälven. We are a small family run business and as such we know how important good service and personal attention is. We are constantly working to improve the campsite, our cabins and our canoe activities. Nothing makes up happier than to see guests return year after year. In 1990 Ove Djurberg together with his family moved to Lillsjöhögen and started up Little Lake Hill Canoe Center. Even then he rented out canoes for week-long trips on the river Hårkan; a river which runs all the way from Norway. In the year 2000 Ove had the opportunity to buy Lits Camping from the Municipality of Östersund. The new location in Lit was a great for the canoe rental part of the business, as the campsite is located right between two of Jämtlands’ largest and longest rivers: Hårkan and Indalsälven. Ever since then, Lits Camping and Canoes has been run within the Djurberg family. Besides Ove himself, his wife Romy and their sons Rasmus, Björn, Christoffer and Alexander have all worked or is currently helping out in the business. Matt Larsson Clifford is a British Canoe Union L3 Open Canoe Coach and Bushcraft Instructor who runs Sweden Outdoors Coaching. Every year he organizes several groups on Hårkan. Learn more about Matt @swedenoutdoors on Facebook. Reinhold Schäfer is specialized in courses for men and many German groups have visited Jämtland the last 20 years. Read more on his website. We are also partners to Destination Östersund; an organisation owned by the local business community in Östersund. Their mission is to develop and market the area of Östersund.